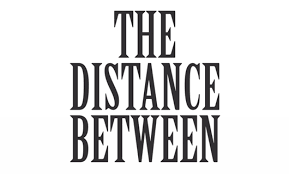 The Distance Between "I Can," and "I Do"
I have a new “Equation for Happy” in your life. Stay tuned…first I have a question. Have you ever had a day where you were so slammed at work that you could hardly keep up? Every time you answered an email to a client, you got another. Every time you sent a quote to a client, you got another request. As you were talking to one customer, you get a call from that prospect you have been chasing. Every once in a while, you stop just to “catch your breath” because things are moving so fast. For me, those are the best days. Don’t get me wrong. They are stressful days. But they are also days when I feel like I am maxing out my productivity. They are days when I feel the most alive, and excited. Ironically, these are days when I feel like I am most creative too! I think I have figured out why. It’s because on those days, the distance between what “I can do” and what “I do” is small. I am doing what I can all I can toward my goals. Those are the days I am most happy. You see I think that is one of the reasons most of us don’t actually feel happy or fulfilled. We have dreams. We have goals. And as Mel Robbins says in the 5 Second Rule (yes you should totally read or listen to that book), when you know what you want, you start to get urges to work toward those goals. But so often, we don’t. We delay. We procrastinate. We delay. We justify. But we don’t actually take consistent, measured action toward the goal. And on some level, we know it. It’s on us. So we don’t feel good about it. We know we have cheated…and we have only cheated ourselves. And this is any area of our life where we are trying to improve. Whether it’s fitness, or finance, or sales, or family, it’s the same. You are most happy when the distance between “I can do” and “I do” is the smallest. The closer those get…the happier and more fulfilled your life will be. So today…start fresh. When you get the urge…do it. Make the call. Get on the treadmill. Give to the needy. Whatever you feel the need to do, don’t wait. Take action. Decrease the distance between “I can” and “I do.” Make sure you never miss an update. Sign up for our VIP newsletter below. “Motivation is garbage.” Mel Robbins. I respectfully disagree. 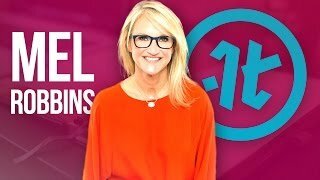 Mel Robbins is the author of the 5 Second Rule and a person who I really admire. She teaches concepts (backed by science) that help people get out of their own way, and take action. Seriously, if you have not read or listened to the 5 Second Rule, you should. It’s awesome. And in this case, I do understand what she is saying. She talks about it here in this video interview. She is saying it does not make sense to wait for motivation to “do” whatever it is you should do. I get that. And I actually agree. You don’t wait to be motivated to act. The best create things they need to do in order to move them to their goals. Then they need to do that each day. They can’t wait to be motivated to do it. They just need to do it. 5-4-3-2-1. What I disagree with is the idea that listening, reading or consuming some sort of motivating material doesn’t help. It does. I can only speak from experience here. But pushing some sort of motivational material into my head, makes me want to take action. And in my book, anything that makes me want to take action, is a good thing. What I like to do is create a habit of pushing motivational (or good things) into my brain on a regular basis. I have a different take. It’s not that motivation doesn’t work. It’s that it doesn’t last. As the great Zig Ziglar once said… “People often say that motivation doesn’t last. Well, neither does bathing – that’s why we recommend it daily.” So it’s not that motivation doesn’t work. It does. It’s just that it doesn’t last. We need to constantly remind ourselves to “get after it.” So get after it. Don’t lose your motivation. Make sure you get your daily dose. You can follow us on Facebook here. Or you can sign up for our VIP newsletter here.